HMD Global is on a launch spree at the moment as the Finnish upstart company has today announced its third Nokia smartphone in India in as many as two months. 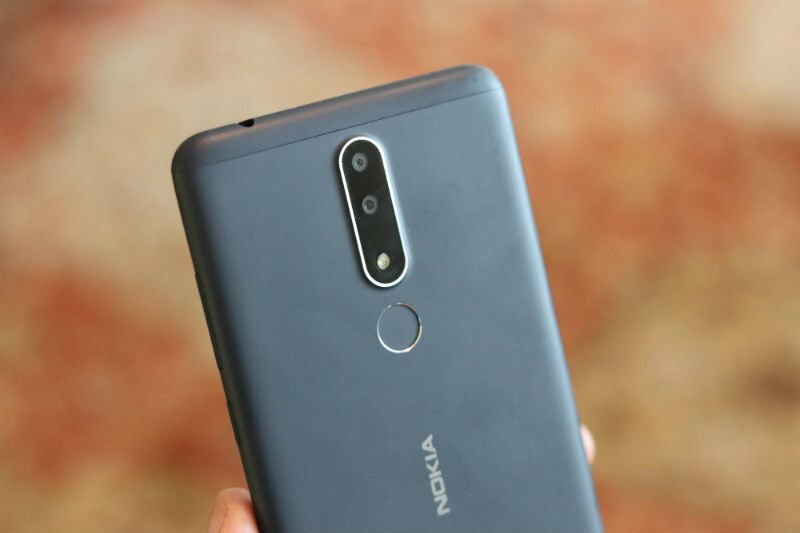 Back in August, HMD unveiled the Nokia 6.1 Plus, followed by the Nokia 5.1 Plus later in September. Now, it has come up with the Nokia 3.1 Plus which will be the company’s bet against the Xiaomi Redmi 6, Vivo Y81 and other smartphones in the offline market. It sports a 6-inch HD+ display with 18:9 aspect and is powered by the MediaTek Helio P22 chipset that also powers the Xiaomi Redmi 6. And of course, it’s an Android One smartphone with a promise of timely software updates. Other highlight features of the Nokia 3.1 Plus include dual rear cameras and a beefy 3500mAh battery inside. HMD has cut some corners to achieve the price tag of Rs 11,499. Read on to more about the Nokia 3.1 Plus in detail. The Nokia 3.1 Plus comes as a successor to the Nokia 3.1, and like its predecessor, it’s also limited to offline buyers only. However, HMD will also be selling the smartphone via Nokia Online Store. The 3.1 Plus takes a lot of design cues from its predecessor; It’s worth noting the 3.1 Plus looks like a bigger Nokia 3.1. The phone is constructed out of plastic which you’ll notice right after picking up the handset. The phone offers decent in-hand feel thanks to the rounded corners and matte finish on the rear side. 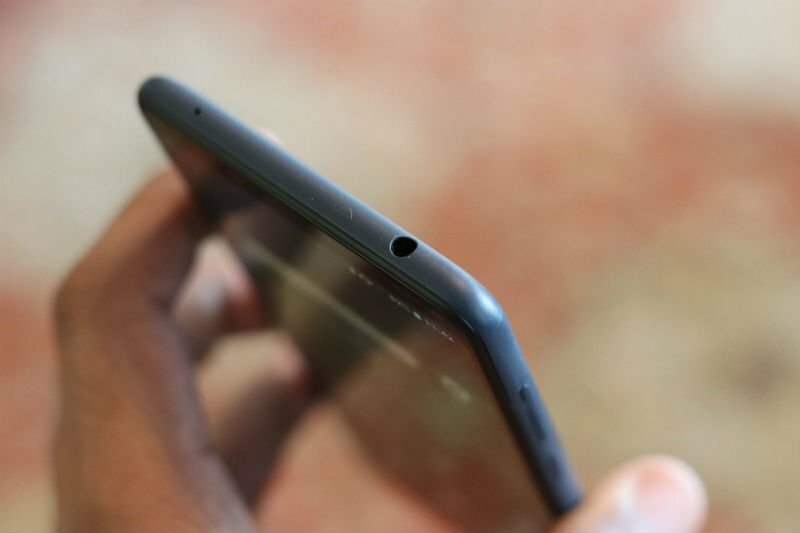 Before you complain, let me clear one thing- the back attracts fingerprint smudges, although very minimal. The phone weighs 180 grams which is largely due to the beefy 3500mAh battery it has underneath. 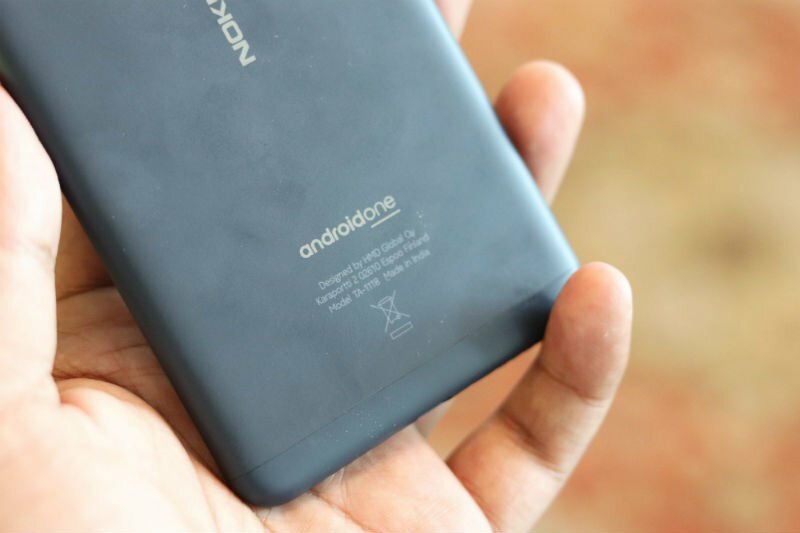 The dual cameras and the fingerprint scanner are placed on the rear side, followed by the Nokia branding and Android One logo. On the right side are the volume rockers and power button, while on the left side we have two card trays- one houses the primary SIM card and microSD card, and the second one houses just the secondary SIM card. 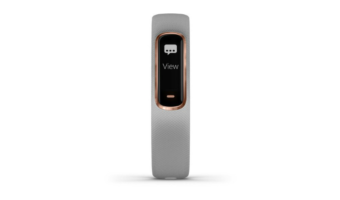 To the bottom, there’s the Micro USB port whereas the top has the 3.5mm headphone jack. 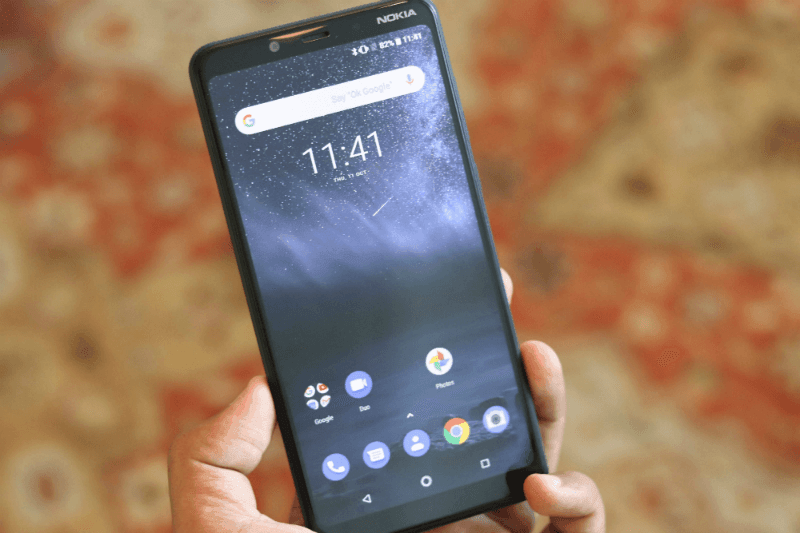 Design-wise, the Nokia 3.1 Plus looks like the Nokia 7 Plus from the front, but the in-hand feels is nowhere close to the latter, thanks to the usage of plastic. The phone feels robust and sturdy in hands, something which you would expect from HMD Global. On to the front, the Nokia 3.1 Plus flaunts a 6-inch HD+ display and carries a resolution of 720×1440 pixels and 18:9 aspect ratio. Yes, there’s no notch and at the same time, there are noticeable bezels on the front and bottom. The 3.1 Plus joins the likes of Tecno Camon i2X and Vivo Y81 to offer big display under Rs 15,000. Like on any other smartphone, the display on the Nokia 3.1 Plus is a fingerprint magnet. The screen itself is an IPS LCD one with decent viewing angles and punchy colours. I will talk more about this display in my full review as I didn’t get a chance to take the phone to direct sunlight. Like its predecessor, the Nokia 3.1 Plus also ships with a MediaTek processor under the hood. 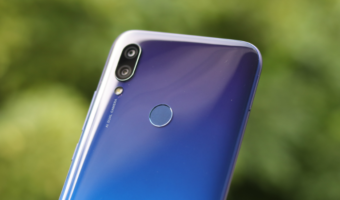 Thankfully, this time, we get the Helio P22 chipset which is a decent performer as the same SoC powers the Xiaomi Redmi 6. The phone comes in two configurations- one with 2GB of RAM and 16GB of internal storage, and the other one with 3GB of RAM and 32GB of internal storage. As mentioned above, the phone also ships with a dedicated microSD card slot for storage expansion up to 400GB. I got the 3GB+32GB variant for review and during my usage (three-four days), the phone performed well in day-to-day tasks, but when it comes to gaming, the phone started showing lags. I played PUBG Mobile on the Nokia 3.1 Plus and even with low graphics, I noticed some frame drops. 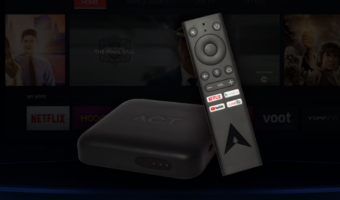 This is very much expected from the entry-level chipset. Software side of things, the 3.1 Plus runs Android 8.1 Oreo out of the box with August 2018 patches installed. Like the other Nokia smartphones, the Nokia 3.1 Plus is also an Android One handset and comes with a promise of timely software updates. HMD has proven itself to be a reliable option when it comes to seeding software updates, so no questions in that aspect. The user experience is pretty much stock and except for the Nokia Camera app, there’s no customisation whatsoever. The phone sips juice from a decent 3500mAh battery. For the unaware, the Helio P22 chipset is built on top of the 12nm manufacturing process, meaning it will have decent power saving capabilities. So am expecting the Nokia 3.1 Plus to deliver a good battery life. During the initial four days, the phone offered over six hours of screen-on time, and it’s mostly connected to Wi-Fi. HMD has added dual cameras on the rear side of Nokia 3.1 Plus. The phone has a primary 13MP shooter with f/2.0 aperture and 1.12um pixels, and it’s paired with a 5MP depth sensor. Combined, the 3.1 Plus offers hardware-based bokeh effect inside the images. On the front side, the phone has an 8MP shooter with f/2.2 aperture and 1.12um. The rear camera comes backed by a single soft LED flash, while the front camera relies on the screen flash option for low-light selfies. Take a look at the sample shots captured using the Nokia 3.1 Plus during my usage. They look decent, but it will be interesting to see how they fare against the Redmi 6, which is the possibly the best camera phone under Rs 8,000. Both the Nokia 6.1 Plus and Nokia 5.1 Plus turned out to be a real success for HMD Global. And with the Nokia 3.1 Plus, the brand is looking to replicate the same success in the offline market. In the sub-Rs 15,000 price point, we have the likes of Tecno Camon i2X, Vivo Y81 and the Xiaomi Redmi 6 Pro, with the first two retailing around the same price of the Nokia 3.1 Plus. But what makes the Nokia 3.1 Plus stand out from others is the presence of stock Android. 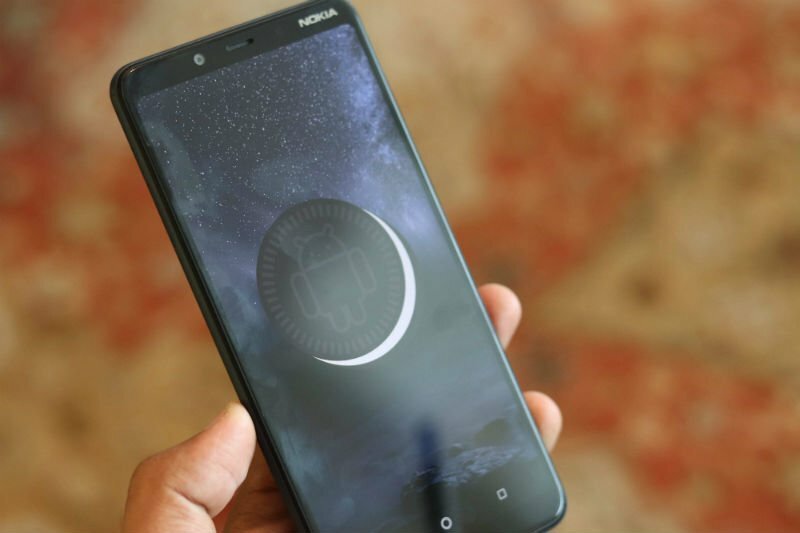 Surely, the market is cluttered with some interesting devices such as the Xiaomi Redmi 6, Tecno Camon i2X and so on, but HMD is banking on the software updates with the Nokia 3.1 Plus. Nokia needs to understand that, in price sensitive market like India, more people concern with price, value for money and most people not Bother about software updates. It needs to provide good phones at affordable price (though slight increase is ok ) compared to other phone. @tri_vis Nope. People who are only concerned with price and not about software updates and security are free to choose whatever the latest cheap Chinese mobile brand in fashion is! There are still a good number of users who value a phone which provides timely software and security updates albeit at a price premium. I would have bought Nokia phone if they had better cameras and at same price. It would have been fine for me if they would not have provided me monthly updates. Even major Android Updates.